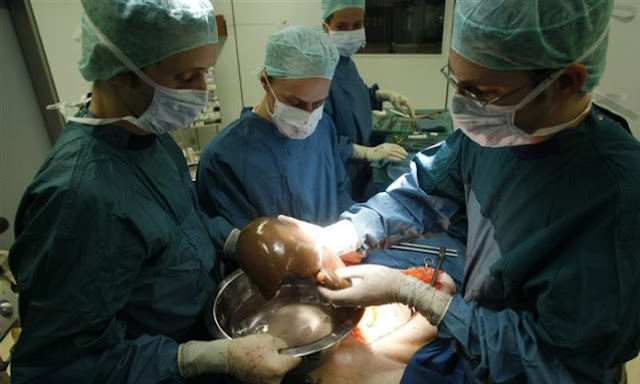 Home dailythings entertainment facebook Guys Health & Wellness Health and Wellness Interesting news recent slider Viral Section Indians Are Now Buying And Selling Kidneys On Facebook! Indians Are Now Buying And Selling Kidneys On Facebook! 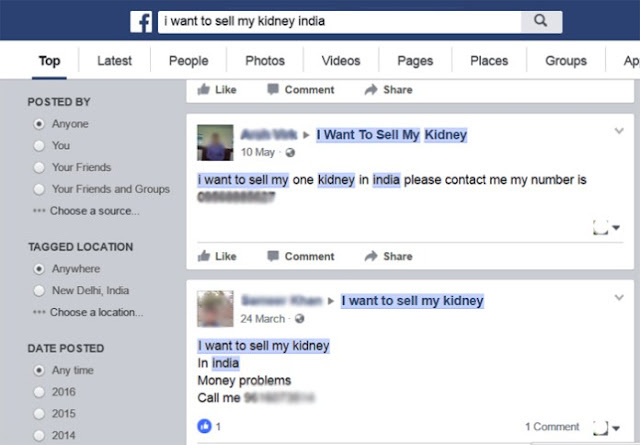 Open offers for selling kidneys on social media have baffled the medical fraternity and law-enforcers alike, especially at a time when such rackets have been busted at notable hospitals in Mumbai, Akola, Gurgaon and the Anand district of Gujarat. 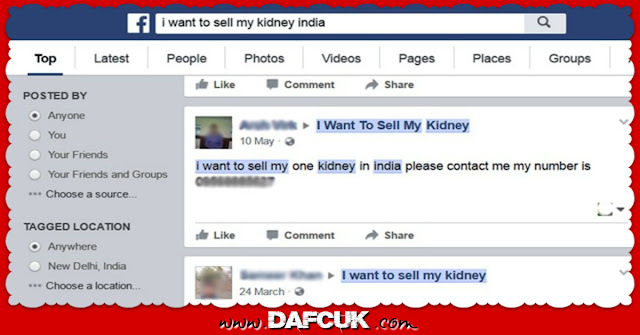 The state human organ transplant unit recently stumbled upon certain Facebook pages like ‘I want to sell my kidney’, and has decided to liaise with the cybercrime cell to get to the heart of the malaise. 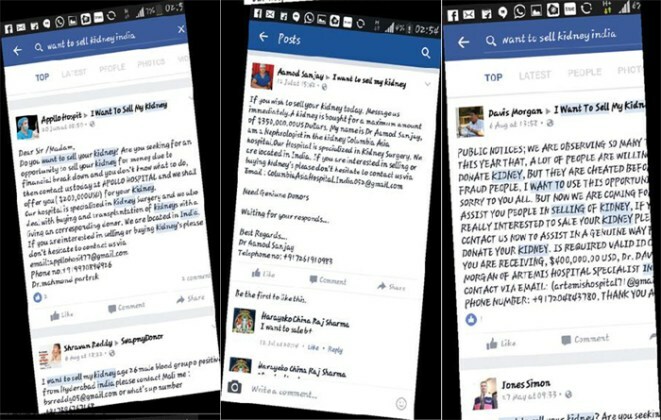 Rathod observed that while some people had responded to such advertisements driven by the need to finance their own higher education, it is an illegal act, a violation of which could land the gullible in prison. 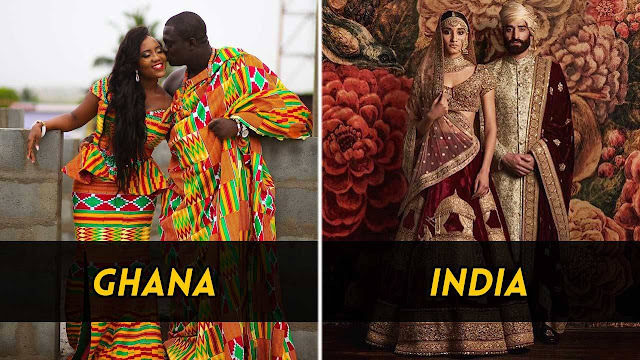 “While we are still reeling from the recent bust, this is yet another major scam. Social media is quite powerful and it can be misused like this.